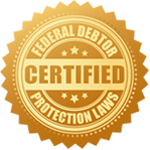 Credit Repair companies are governed by federal laws, although most states have additional laws or requirements for credit repair companies. It is important to be aware of credit repair laws for your business. The Dispute Center works with you and your clients to provide solutions to help your clients reach their credit goals. Give us a call at 616-541-2322 to learn more about all the ways we strive to make you an expert in the credit repair industry.